It's that time of the week again, my friends. Time for another edition of InstaFriday. Here are a few random photos from the week as captured on my phone. 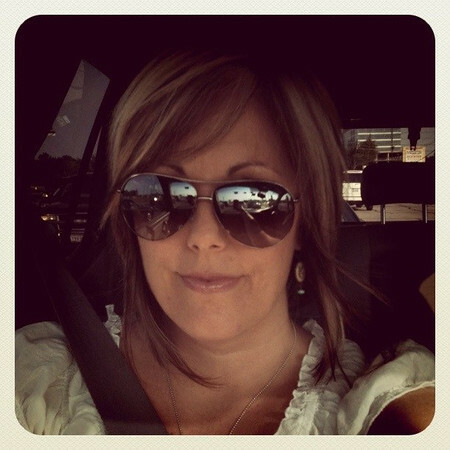 These aviator sunglasses walked out of Target with me earlier this week (don't worry, I paid for them) because I'd been itching to get me some Tami Taylor shades for just past forever and now that FNL is over (hold me) I decided it was high time. Tami wore bronze but I was scared and settled for silver. And also? Whose ears are a teensie-tiny bit lopsided? Are they mine? Now I only have to gather my courage around me to wear cowboy boots with a dress. Annelise and I went skating this week with our bestest buds (Hi H. &amp; M!!) 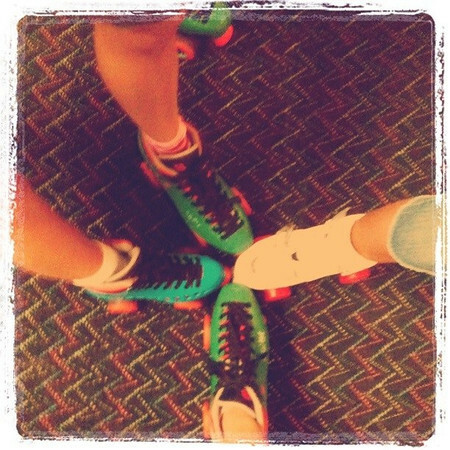 and skated our cares away for hours. Skate admission, skate rental, a whole pizza and pitcher of soda for 2: $6.50 (with a coupon). Annelise, my little roller derby queen, even won a race and got a free Coke. Her day could NOT have been better. And we checked another box on our better-late-than-never-down-to-the-wire summer list. 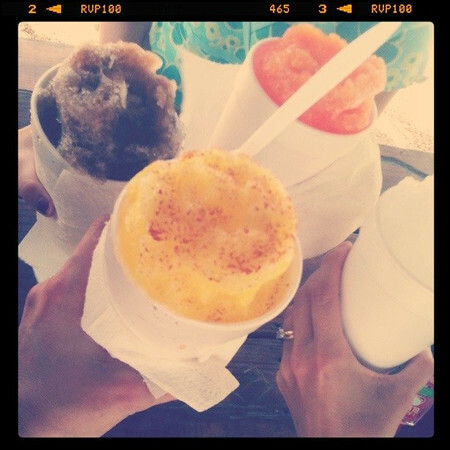 Root beer, orange, wedding cake and mango (with chili powder sprinkles) snow cones please. And the chili powder sprinkles? A bit of tang for the sweet. I thought Annelise was wayyyy past Play-Dough, and I was secretly glad because that meant no more dried up crumbly bits sprinkled around the house, but in a sudden fit of sentimentality in the toy aisle at TarJay the other day I asked her if she wanted some new Play-Dough. But she was delighted and has been playing with it almost every day since. She made a cute dough salad for me with a side of white dough water, with a straw, which I thought was funny. And sweet. 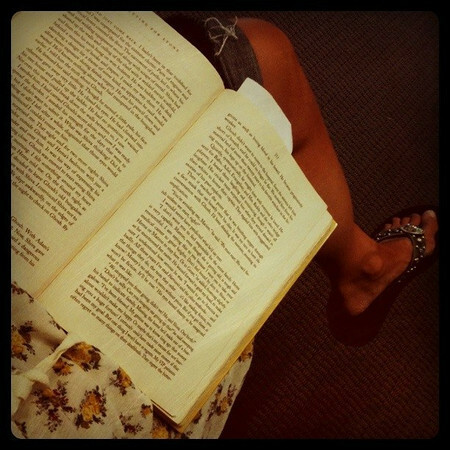 Annelise had a dentist appointment so I got to read for a few minutes in the waiting room. My reading was brief though, they finished up with Annelise lickety-split and she didn't get to play in the tricked out play room (toys and video games = awesome) and was highly irked. Then I dragged her to HEB. 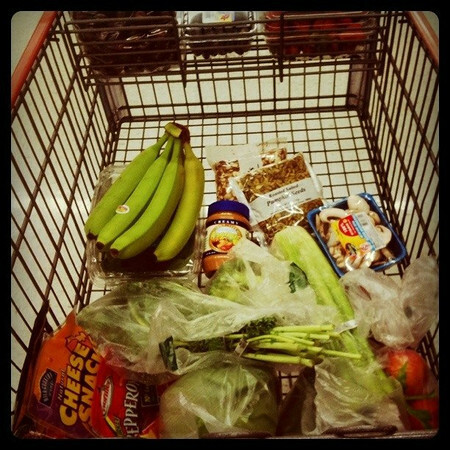 I didn't allow any junkety-junk into the cart this time, just real food. I did buy Annelise a box of Jolly Rancher popsicles. But it's 100+ degrees outside and you must always have popsicles in order to survive around these here parts. This delightful and delicious concoction was my treat yesterday afternoon. I love to have a cup of coffee in the afternoon as a little pick-me-up, but as you might have heard, it's HOT and drinking a hot beverage in the middle of a HOT afternoon doesn't help me keep my demons at bay. I think I finally found a recipe for iced coffee that doesn't intimidate me too badly (no offense to Pioneer Woman) and tastes really good (I'm sure PW's tasted really good too, but I was too scared to make it). More on my iced coffee adventures coming soon to a computer near you. And there you have it, my friends, a few random snippets from our week. And y'all can link up too! C'mom it'll be fun! The shades look great! I have yet to watch FNL! Can you believe it? I have the first 4 season in my Netflix queue though. Just need to find time to watch. I've added that book to my Goodreads list, as I've seen it mentioned in several places now. Happy weekend! Oh yeah, meant to tell you that you should install the pin button in your toolbar for Pinterest, to make pinning easy. 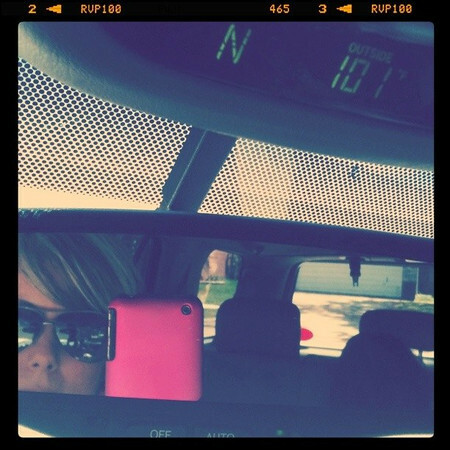 The sunglasses look stylin on you! I have no doubt you can wear cowboy boots with a dress with style too. Wow, roller skating, I haven't done that for a very long time. 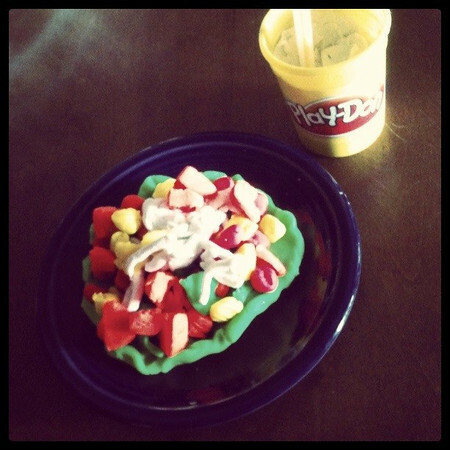 Whitney still plays with play-doh regularly. I think it's appeal has no age! I loved Cutting for Stone. Have you seen the NOVA show "Walk to Beautiful"? It's all about a Fistula hospital in Ethiopia, it's on the PBS website and is a great show. 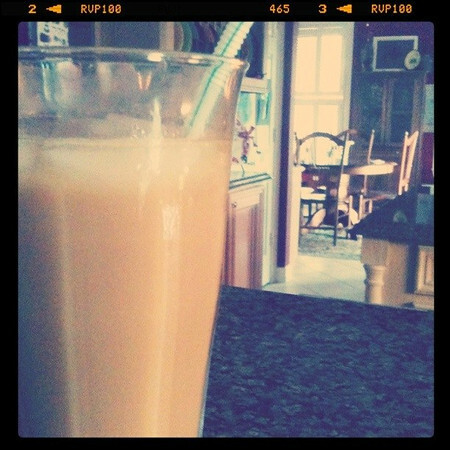 Love the shades and iced coffee is my favorite right now too! Wedding Cake snocone??? I wish I had access to something like that!! Yum!! Is your Serendipity photo from NYC or Vegas?? I just went to the one in Vegas-YUM!!! Those snow cones look Ah-Mazing!! Mango w chili powder, YUM! Have you tried chocolate w chili powder? Almost as good as chololate w lavender!